Quality look and feel inside. Neatly styled. Low CO2 engines. Well equipped and good value. Some criticism of steering feel. 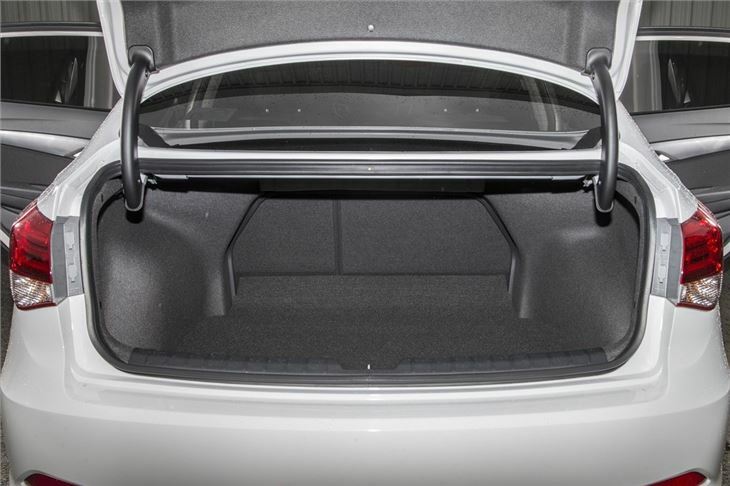 More practical Tourer version makes more sense. No petrol engines. Report of 2015 Hyundai i40 1.7 CRDi 141 Blue Drive DCT ISG Auto Start/Stop stalling three times twice on the main road and once on a roundabout. 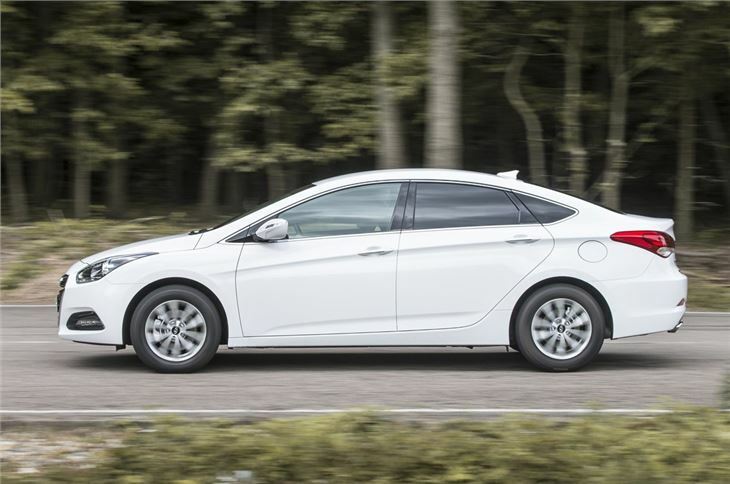 Hyundai showed first images of its new i40 saloon which gets its world premiere at the Barcelona motor show on 12 May 2011. The unveiling follows on from the i40 Tourer which was debuted at the Geneva Motor Show earlier in 2011 and received a very positive response. 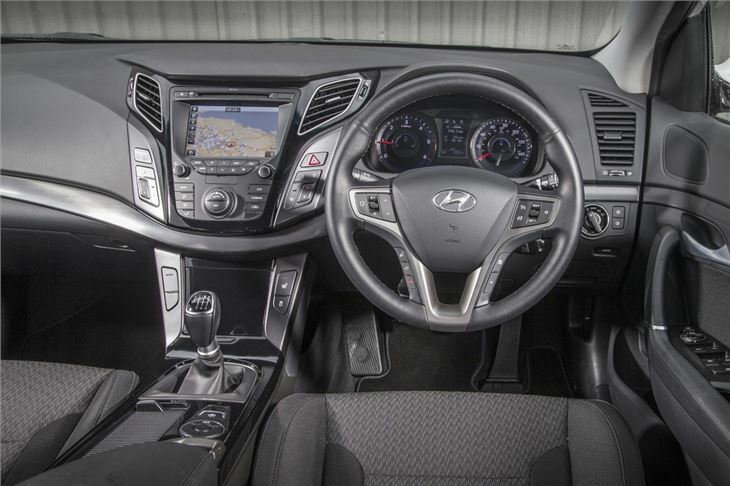 Although we've yet to drive it, we've already been impressed by the design and quality of the forthcoming i40 Tourer. In fact it's so good we reckon the Mondeo-sized i40 will really change the way buyers look at large Hyundais. 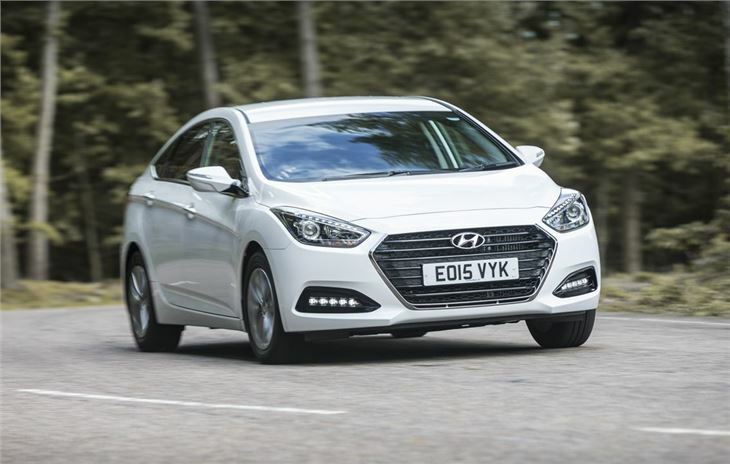 Like its estate counterpart, the i40 saloon has been designed in Europe for European tastes using Hyundai's 'fluidic sculpture' design which can be seen in the ix35 and ix20. We think creates a neat and distinctive style. 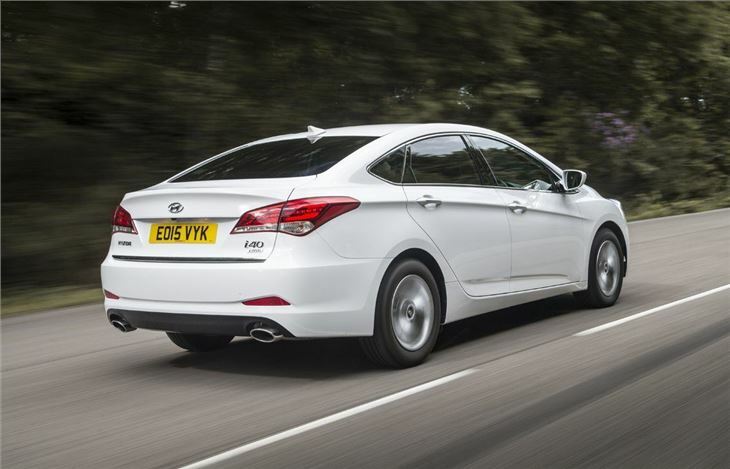 It's certainly a big step forward from previous large Hyundai's such as the uninspiring Sonata. 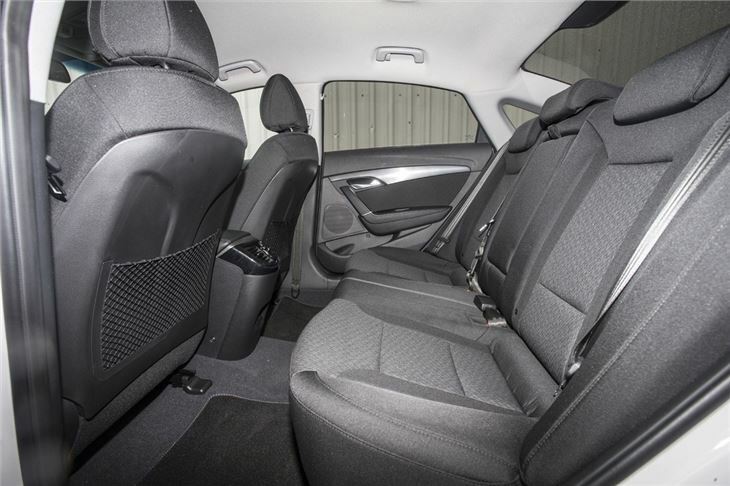 Hyundai says the i40 saloon with have 'best in class' dimensions for front head room, shoulder room and legroom plus you can be sure it will come well equipped as standard. The engine line-up will be the same as the i40 Tourer so in total, there will be three Euro V engines ranging in power from 115bhp to 177bhp. The range will start with a 1.7-litre diesel developing 115bhp or 136bhp - the latter likely to be the most popular choice. 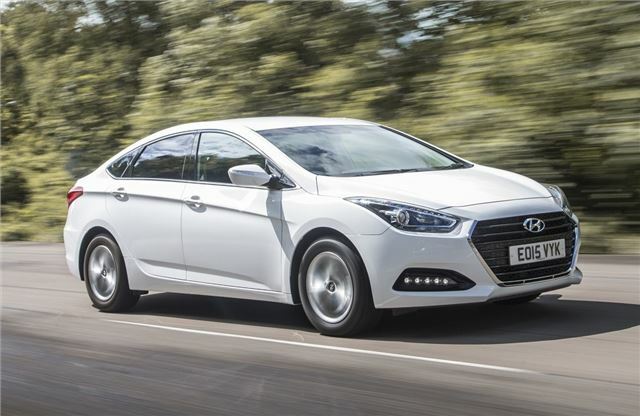 Hyundai's new 136bhp 2.0-litre GDI unit from the ‘Theta' family makes its debut in the i40, which is said to bring 'exceptional levels of performance matched with excellent fuel efficiency.' Finally, there's a 2.0-litre petrol which develops 177bhp. Too many faults - would sell it now if I could afford another car! Nice drive - but opportunities missed!